Here’s my favourite though. Probably the most pointless door in the world. Not only is it a doorway with no walls on either side, but it’s open. It must be (fanfare) the 2016 Ramshackle Door of The Year. This motley collection of rusty washers and other miscellaneous bits and pieces (presumably spares) was seen at a vide grenier (car boot sale) in the village of Lesterps. Who buys this stuff? I see that the topic of ‘wheels’ has come around again (as it were) in this week’s Black & White challenge. The annual cavalcade of vintage agricultural vehicles at Lesterps guarantees plenty of interesting wheels. 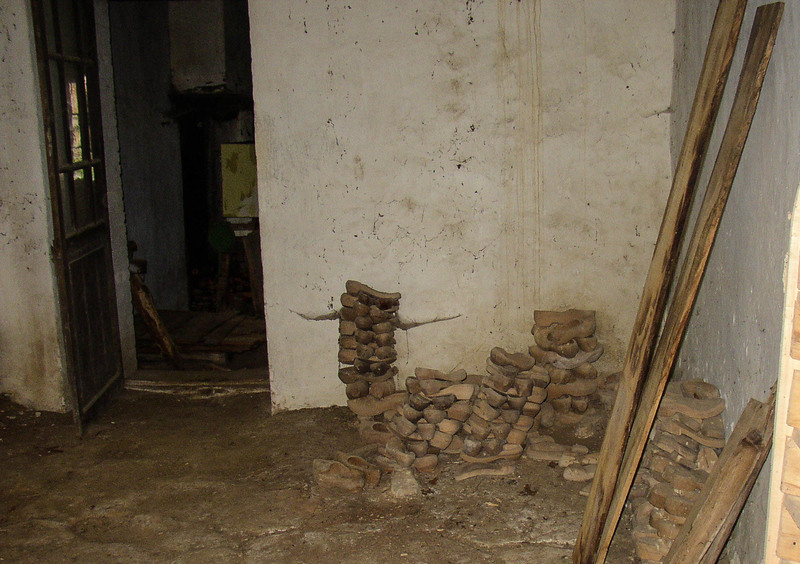 Until well into the last century, the ‘ default’ footwear in rural France was wooden clogs, made by the local ‘sabotier’ (the French word for clog is ‘sabot’ – from which the word ‘saboteur’ is also derived). Indeed, part of our house was once the local sabotier’s workshop, as shown in the second image at the bottom of this post. 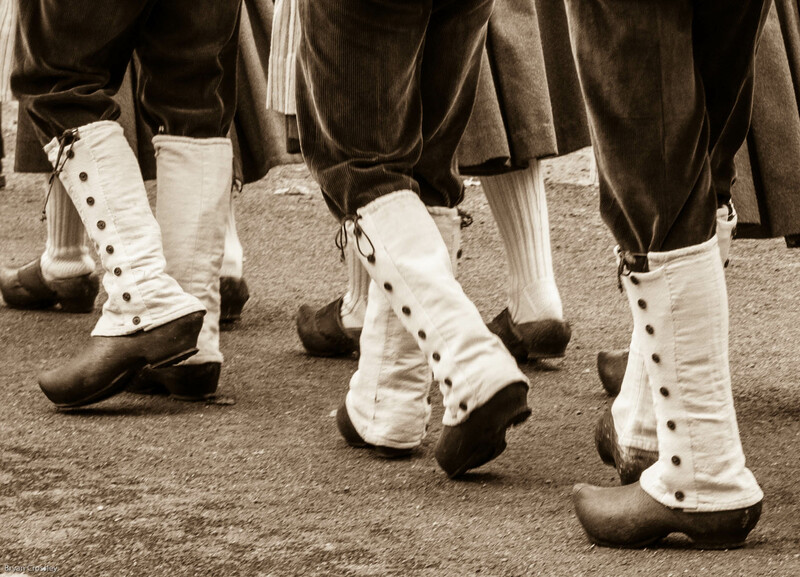 Nowadays, clogs are mainly used for decorative purposes (we have a couple of old pairs ourselves), but they are still used by a local traditional dance troupe, as shown in this image. This room is now our entrance hall. It’s been done up a bit since this was taken. 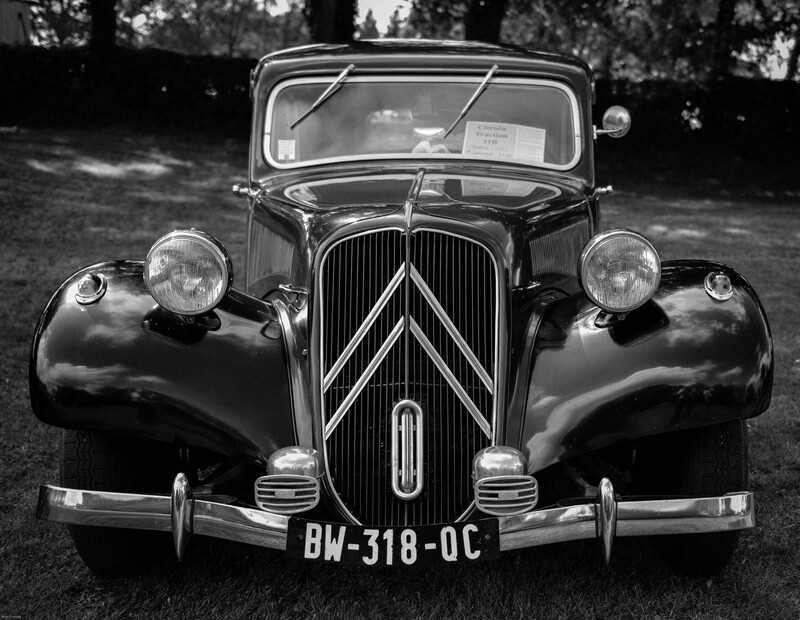 A beautifully restored classic Citroën car, certainly more than 50 years old, displayed at the annual Lesterps exhibition of vintage cars and agricultural equipment. The clouds reflected in the glossy bodywork, give an extra dimension to the image, while the dappled sunshine on the ground behind adds depth.